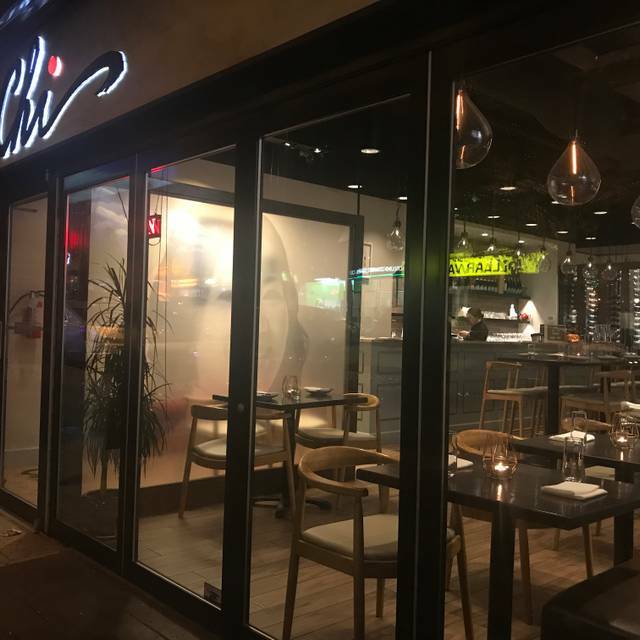 You must make reservations at least 5 minutes in advance of the time at Chi Modern Vietnamese Kitchen. MasterChef Vietnam Star, Chef Chi Le opened Chi Fall of 2016 - creating a menu that would change the way people view and understand Vietnamese Cuisine. 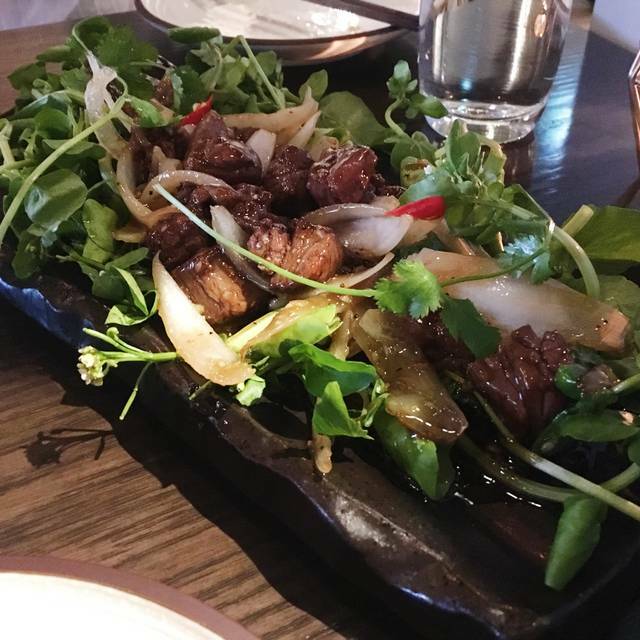 At Chi Modern Vietnamese Kitchen, we bring her love and passion for food to your table. 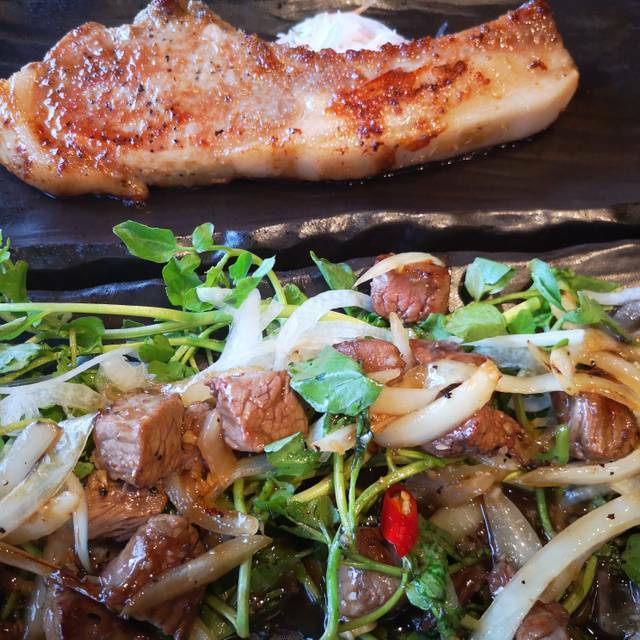 We are committed to showcasing authentic and traditional Vietnamese flavours in a bold, innovative and modern way. We support our local BC farms and use fresh local organic products and ingredients to provide you with the very best dining experience! First time having fine dining Vietnamese food. It was SO crazy good. We will be back again for the beef and more. Inventive, flavourful food and nice service in a tasteful setting. 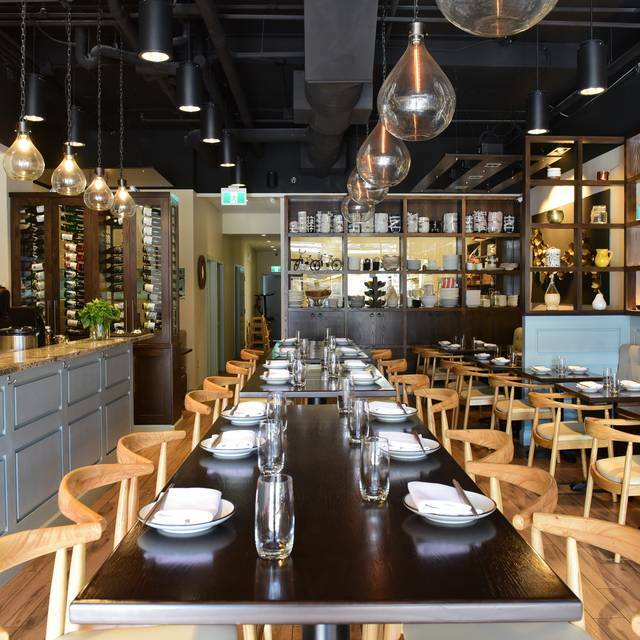 If you are looking for a more modern Vietnamese dining experience, this is it. Have been a few times now and never disappointed. Often, the chef will come out herself to have a chat with lucky diners. Delicious food - I recommend the duck rolls and pork belly. Yummy options, reliably GF if needed! Really good Vietnamese food and good service. It was easy to get a table on Sunday night. The fish dish we ordered was old and had to be sent back. We had to argue with them to take it off the tab. The other dishes we ordered were so-so and not worth the price. Very limited cocktail and wine menu. It was a bust. Services was great and the food was delicious but we definitely thought it was overpriced. Restaurant was not ready for the amount of people coming in for valentine's day. Coconut flan was not tasty at all. Painfully experience with 2019 Dine Out. Their coconut rice was absolutely dry. It looked like they heated it up in the microwave without putting a lid on it. Chicken was tough & had an unpleasant smell. Shaken beef was good, but not that super tasty compared to many other restaurants in Vancouver. Our server was the daughter of the owner, who seemed to be forced to work there on a Saturday evening. She was rude and even unwilling to explain to us about the dish we had a question about. Will never go back there. Service was terrible, the waitress was nowhere to be found even when they were serving the people right beside me. However, the food was great. The food was incredibly salty and greasy and completely overpriced for the quality -- not what I would expect for Vietnamese food. Our bill was $90 for 2 people without drinks. The ambiance was nice and it wasn't crowded at all (maybe a bad sign?) The server, although very friendly, took our food before we'd finished and never offered to box it to-go. When it happened the first time, we spoke up and she returned the plate, but then it happened again and we just let it go, because we had already decided that we would not return to this restaurant. Very disappointed food severed. restaurant not busy, waited 15mins for each dish to come .Finally, 17mins for server to bring the bill over. Not recommended ! Hosnestly, it was not worth for what we paid. The dine out menu was $35/ person, but we had to paid extra $2 for the rice and $5-$10 for some dishes. Finally we paid $90 for 2 persons. We were kinda disappointed because the food was just okay, and not really amazed us. It was a wonderful dinner. Good cocktails and a fabulous Dine Out night. Terrific dinner. The menu for dineout vancouver looked great but I didn’t like that they charged extra for the more decent dishes on the menu. Even for coconut rice, 2$ extra , that’s a little ridiculous. They took a long time to take our order, We were a group of 4 people and they didn’t explain to us that the dishes could be shared, like if everyone got something different they could all be shared. Everyone got the same dishes and then we realized they were meant to be shared. Order took a long time to come. I didn’t finish my dish and i ask them to pack it for me, they forgot and threw it away. This was great! Really beautiful dishes with creative and delicious flavours. Would definitely go back- I’m still craving the duck rolls now! Dine out menu but still great choices and well thought out. Very accommodating service (which was not to be rushed ) Middle section nice ambience Window section too bright. Nice that the owner pays special attention to the guests. Looking forward to return visit. Went here for a DineOut Vancouver with my family. - Overall the food is quite different than what you typically find in Vietnamese restaurant. It tastes really delicious although I think it is a bit on the salty side. - I had the crispy duck roll, beef luc, chicken curry, and prawn. I also tried the the vietnamese iced tea which is spiced with cardamom, clove and star anise. Highly recommended. - Price is not expensive overall but it is also not inexpensive both on regular and dine out menu. The reason why I have not returned sooner since my first visit is the price. 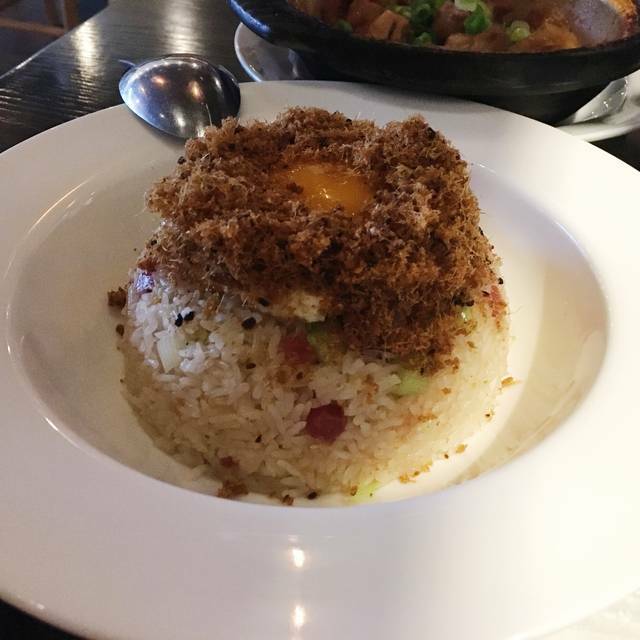 I had lunch with a friend at Chi Modern Vietnamese Kitchen and it was a mixed experience. First the food - which was pretty good. We shared a starter crispy roll, then a chicken pho noodle bowl and a wagyu rice vermicelli noodle bowl. We originally ordered the green papaya salad but after our order was taken, another person told us they did not have enough papaya for a salad and recommended we order the crispy roll instead. The crispy roll was very good, the chicken pho had a nice broth and the wagyu vermicelli had lots of flavour in the sauce. My friend thought the chicken pho lacked a bit of flavour, noted the next table had a container of various sauces, and requested some sauces. The same container with four little cups of sauce was brought to our table but the server curiously mentioned that Vietnamese people do not use these sauces and then went ahead and introduced the 4 (hoi sin sauce, chilli sauce, sriracha sauce and one other I forget). Our total bill including tip was about $70 for two people, so not expensive but also not inexpensive for a lunch. A few hours later Opentable e-mailed it learned from Chi Modern we did not show up. I called Chi Modern to tell them of the mix up and got a funny reaction. I told them the details of the credit card used to pay which I thought was enough proof we did show up. I got a rambling discussion about how the restaurant is not responsible for what Opentable sends. Restaurant called back and I had a second talk with them. They phrased a funny acknowledgment along the lines of "it appears you did show up for your reservation" and they have notified Opentable. Odd phrasing given I knew the credit card used to pay. He went on about how they do not know how this happened, it has not happened to them in the 2 1/2 years they have been opened and so on. Two unnecessary calls, a lot of not our fault and explanations about it never happens when a simple "sorry, we will let Opentable know" would have sufficed. We enjoyed the food and service very much. Looking forward to dine here again. Great food and host ! Fantastic range of flavours in a range of dishes which are varied and delicious. The owner is lovely and proud of her home cooked food. I love the modern design of the restaurant - it is a good place for group bookings with the central long table. The service was excellent. The only minor gripe is that all the food was brought to the table at the same time - I prefer time to eat the appetizers then have a short break before the main dishes. So best to request this if you want a break between dishes . I really enjoyed my dinner at Chi. It was contemporary Vietnamese, healthy and delicious. The ambience delightful . The owner a masterclass chef. I wish them all good luck with their distinctive restaurant. I have eaten 3 times now at the restaurant. Every time there is something to be amazed by. Love the place. The owner/hostess/chef is very friendly. Second visit to Chi and we were once again wowed with the quality of the food. This place will not disappoint and the thoughtful menu is diverse with great choices for everyone. Chocolate mousse for dessert! As usual, the food was delicious and we were served beautifully by Chi herself. We really enjoy this little corner of Vietnam in Vancouver and it never disappoints. We have eaten here many times with friends and family and will continue to do so, as well as broadcasting it to the rest of the world. Outstanding (innovative, creative and delicious) food and excellent service. This is our 4th time to Chi and we are never ever disappointed. The food is so delicious, unique and beautifully prepared with care and the freshest ingredients. I thoroughly recommend the duck fried rolls (incredible) and the shaken beef. But honestly, all of it is amazing. Yes, it's pricier than your average Asian restaurant but this is NOT you average Asian restaurant. Food and service were good. The open Table reservation showed that the only times were after 7.30pm, but when we arrived the restaurant was empty and had very few people before 7.30pm. Open table needs to do some work. Can not say enough about this restaurant. I’ve read the other reviews and have to question what restaurant they were actually at. We ordered our meal and then the chef came over to recommend other items to compliment what we chose. One of the best meals I’ve ever had and enjoyed the interaction with the staff and chef. Can not wait to introduce my friends to the amazing place. Our family really enjoyed our dining experience and plan to return soon. Quite possibly one of the best meals in Vancouver. Fresh, locally sourced ingredients- a creative menu and undeniable talent in the kitchen makes for a truly memorable visit. We will return again and again. The food was absolutely delicious. Great value. Rivals Slanted Door in SF for food! Decent place with decent food, and friendly staff. Had higher expectations with the ambiance they set. Also make sure you double check the dietary restriction items on the menu with you server, as we ordered the 4 items with a Vegetarian symbol, but one of them came out with pork. 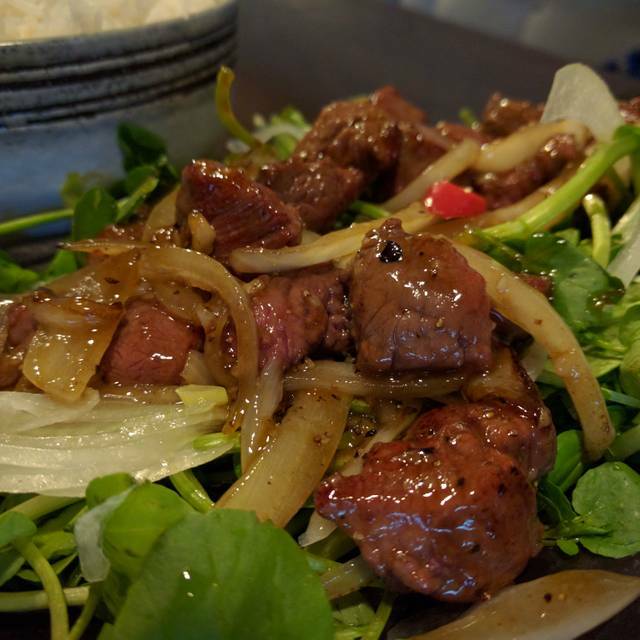 Wonderful, flavourful take on Vietnamese cuisine! The papaya salad with beef was one of the tastiest dishes I’ve had in any SE Asian restaurant in Vancouver ever. Please keep up what you’re doing!